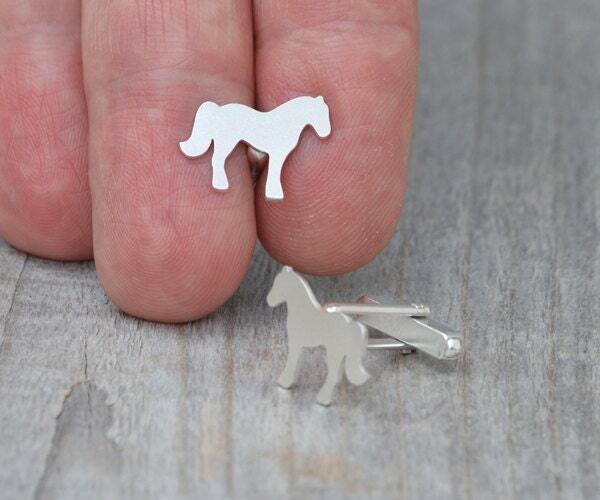 These horse cufflinks are handmade at my studio in England. 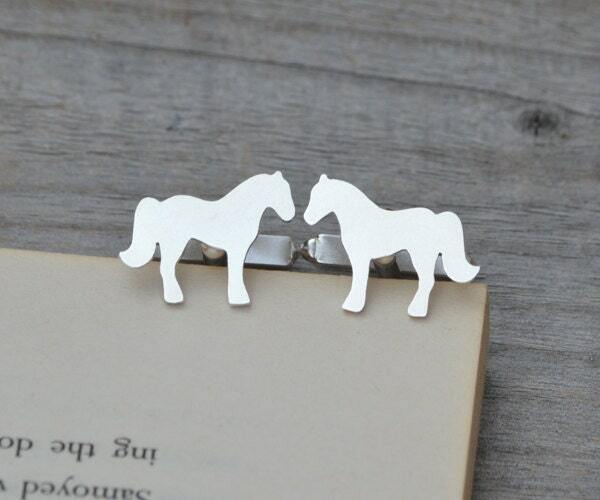 Personalized option: You could have up to 3 characters for each cufflink. 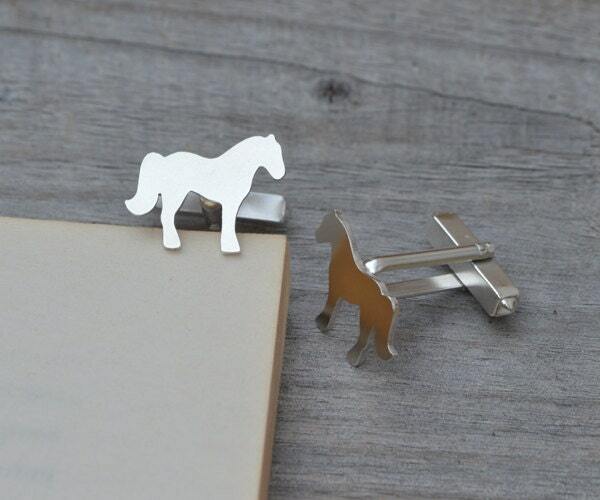 These cufflinks with bars are also available in solid 9k yellow gold or 9k white gold, which will be £250 per pair. Please contact me to reserve a list.